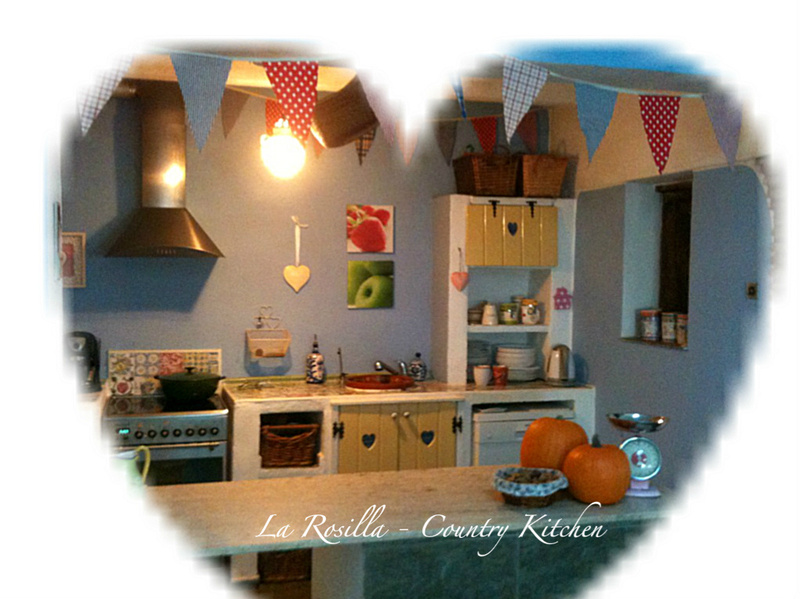 ‘Mary bake-a-cake’ | La Rosilla - Lifestyle and food. I dream of a ‘Mary bake-a-cake’ lifestyle, I’m part of the way there with my bunting, my pastel painted kitchen & my eclectic mix of tins & hearts of all shapes & guises…but the main crux of the dream life is the baking bit !!! Now I’m always cooking, mainly for others, clients and gatherings which I love, but my children are often heard to say ‘Mum can we eat this or is it just for show’ or I’m heard to be shouting ‘Don’t eat that it’s for a customer’ . They sit and drool at Brownies ‘to go’ , if they’re lucky they get the left over edges , I enthuse they are the best bits, all crunchy, sometimes it doesn’t wash.
Don’t get me wrong they’re not hard done by, far from it, new recipes are tried out on them..O.K they are my guinea pigs. Well today I’m going to surprise them, they have suffered as they say all week, with my adopted healthy eating approach to the new year, with beans, pulses & greens of every style. So I have baked a batch of favourite Choc-Chip Chewy Cookies, so as they walk through the door at the end of their school week, and say as normal “Mum we’re starving what’s to eat “ they’ll see a heavenly plate of treats, smile, sigh & indulge and whhoooosh they’ll be gone. 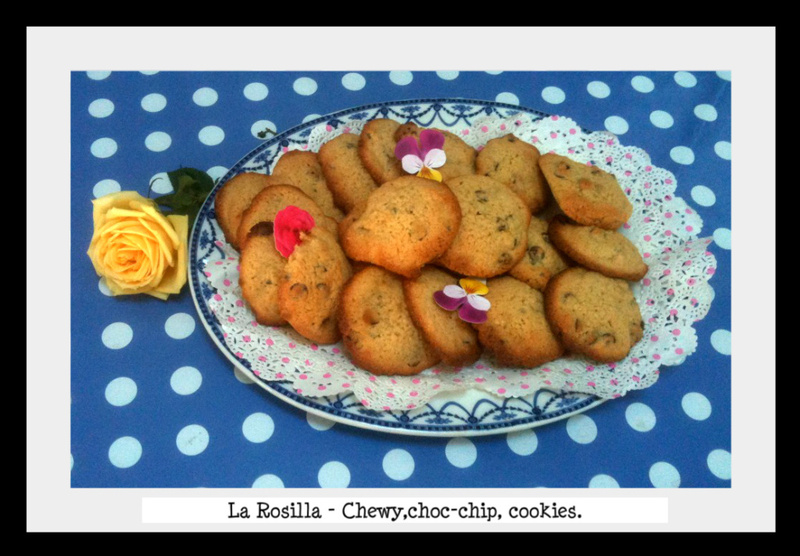 La Rosilla Chewy, Choc-chip, Cookies. Makes approx 20 lovely sized cookies. Mix butter, egg & sugar in a large bowl until smooth. Add flour & choc-chips & pinch of salt, to form a sticky thick dough. Line 2 baking sheets with parchment, and place blobs/spoonfuls of mixture onto sheets spaced apart, as the mixture will spread. Bake for 12-15mins, till lightly turning golden. You can also try adding some nuts, or dried cranberries.